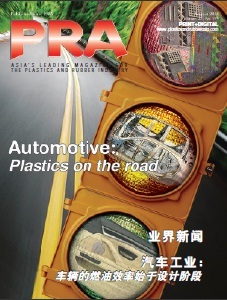 Plastics and Rubber Asia - Can plastics co-exist with nature? Can plastics co-exist with nature? Waste plastics, the result of increasing urbanisation and industrialisation, are posing health hazards to the environment, human and animal lives. For the hundredth time, plastics have been cited as a felon in climate change, marine litter, flooding, and other hosts of environmental malaise. As well, the toxicity and leaching of plastics have led to recalls of products packaged with plastics. But believe it or not, plastics and nature can co-exist in a way that is mutually beneficial and nutritious, too. The complementary role of plastics and nature is highlighted in some recent and previous discoveries and developments showing plastics can serve as nourishment for some organisms to perpetuate their life cycle. On the other hand, nature can play a role in producing plastics, as well as aiding plastics to become environmentally friendly. Meanwhile, our search for “green” packaging material has carved out gastronomic developments in packaging, which is hoped to help create a zero-waste society in the near future. Take-out meals in Styrofoam packaging spell convenience but undoubtedly contribute significantly to the growing heap of this material in landfills. It is also generally not accepted in recycling centres in many countries and, citing a finding from the CleanWater Action study, is said to be “not clean enough to be recycled”. Thus, it has a low recycling rate, and, like other plastic types, photodegrades, which experts believe only breaks it down into tiny pieces but not disappear completely from the environment. The mountains of Styrofoam waste may not be appealing to environmentalists, but it is for mealworms, which is the larvae form of the darkling beetle. According to two companion studies co-authored by Stanford University in the US and Beihang University in China, microorganisms in the worms' guts biodegrade the plastic in the process. The papers, published in Environmental Science and Technology, are the first to provide detailed evidence. Understanding how bacteria within mealworms carry out this feat could potentially enable new options for safe management of plastic waste. In the laboratory, 100 mealworms ate between 34 and 39 mg of Styrofoam/day. 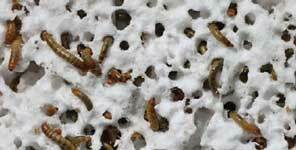 The worms converted about half of the Styrofoam into carbon dioxide, as they would with any food source. Within 24 hours, they excreted the bulk of the remaining plastic as biodegraded fragments that look similar to tiny rabbit droppings. The mealworms were said to be as healthy as those eating a normal diet, say the studies, and their waste appeared to be safe to use as soil for crops. Researchers have shown in earlier research that waxworms, the larvae of Indian mealmoths, have microorganisms in their guts that can biodegrade polyethylene (PE). The new research on mealworms is significant, however, because Styrofoam is more problematic for the environment. Meanwhile, the researchers plan to study whether microorganisms within mealworms and other insects can biodegrade polypropylene (PP), microbeads and bioplastics. As part of a "cradle-to-cradle" approach, the researchers will explore the fate of these materials when consumed by small animals, which are, in turn, consumed by other animals. Another area of research could involve searching for a marine equivalent of the mealworm to digest plastic waste in the ocean, which is also a big problem. Meanwhile in 2004, scientists Kevin O’Connor and Patrick Ward of the Department of Industrial Microbiology at the University College Dublin discovered a styrene-eating bacteria strain, Pseudomonas putida CA-3, a common soil microbe. This bacterium has proved capable of turning the styrene into tiny granules of a biodegradable form of plastic called PHA (polyhydroxalkanoate), which can be degraded in the environment. PHA has a broad range of applications, including medical applications such as wound management, drug delivery, and tissue engineering. Japanese researchers from Kyoto Institute of Technology and Keio University have found a specie of bacteria, Ideonella sakaiensis, which eats PET bottles. According to the study, the bacterium, also known as “polymer chompers”, could almost completely degrade a thin film of PET after six weeks at a temperature of 30°C. When grown on PET, this strain produces two enzymes capable of hydrolysing PET and the reaction intermediate, mono(2- hydroxyethyl) terephthalic acid, to disintegrate the plastic and convert it to carbon dioxide and water. To find the bacteria, the researchers collected 250 PETcontaminated samples from a bottle recycling site. They screened the microbes living on the samples to investigate whether any of them were eating the PET and using it to grow. They found a consortium of microbes that appeared to break down PET, however, just one of the bacteria species, was responsible for PET degradation. Published in the journal Science, the discovery could be a breakthrough in managing PET bottle waste. But even though the organisms can proliferate fast, they eat slowly, hence recycling is, for now, the way to go in clearing up landfills of bottle waste. What do you get when you feed oyster mushroom (Pleurotus ostreatus) and the inedible Splitgill (Schizophyllum commune) with bite-sized plastics? More mushrooms that are edible! 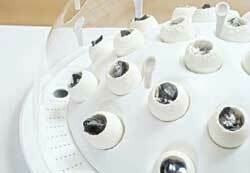 Concocted by designers Katharina Unger and Julia Kaisinger, along with scientists from Utrecht University in the Netherlands, Fungi Mutarium is a prototype incubator inspired by a 2013 study done by Yale University researchers as part of their annual Rainforest Expedition and Laboratory activity. The group found a rare mushroom, Pestalotiopsis microspore, in the Amazon forests that survives on polyurethane (PU), and breaks it down in an anaerobic (oxygen-free) environment, similar to conditions in a landfill. Fungi Mutarium features a series of little white cups that are made from agar (seaweed) starch and sugar. Roots of the oyster mushrooms and Splitgill are dropped into the cups; slivers of UV light-treated plastic waste are also placed in the cups and serve as food for the mushrooms. In the experiment, new shoots of mushrooms started to grow in just a few weeks. After several months, the plastics were all eaten up, and the agar cups yielded edible white mushrooms, which, theoretically, are “safe” to eat. Presenting the other side of mushrooms as a non-edible biopolymer option, New York-based Ecovative Design has developed mycelium-based materials to provide a natural alternative to traditional plastics and synthetic packaging. Mycelium, the vegetative part of a mushroom fungus, binds with crop waste like seed husks and corn stalks to form a bioplastic. The mushroom-based material is home compostable (mushrooms can break down between a month to three months) and non-abrasive. Waste packaging infiltrating the environment is the result of poor disposal and poor waste management. But what if we do not have to discard the packaging, but instead are able to eat it? Algae are the superstar ingredients in a new edible bottle for water. The agar-made bottle prototype developed by Ari Jónsson, a product design student at Iceland Academy of the Arts, needs the water to hold up and stay in shape. After the water inside it is consumed, the jellylike bottle will start to decompose. Yet, it has the ability to keep the liquid naturally cool even in hot weather, Jónsson explained. Still in the design phase, the bottle features need finetuning, including its shelf life, taste, and tear resistance. One important challenge for the seaweed bottle is the length of time it would take to biodegrade. Algae are also the key ingredients in glass-like eatable cups made by US start-up founders Chelsea Briganti and Leigh Ann Tucker of Loliware. Initially offering biodegradable and edible cups, Loliware is heading out to making a range of tableware. The two industrial designers say that the cup can hold a drink for more than 24 hours and has a shelf life of three months. 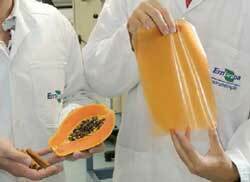 Researchers at the Brazilian Agricultural Research Corporation, Embrapa Instrumentation, a state-owned company affiliated with the Brazilian Ministry of Agriculture, developed edible plastic films from dehydrated fruits and vegetables such as spinach, papaya, tomatoes and guava mixed with a nanomaterial. The dehydration process involves freezing the food feedstock into solid state then turning directly into gas but skipping the liquid phase, hence the nutritional value is kept intact. The film features similar basic properties such as resistance, texture and ability to protect food as with conventional plastics used in food packaging. Fortifying the packaging with chitosan, the outer skeleton of shell foods that has antibacterial polysaccharide, can prolong the shelf-life of food. French researchers have also come up with packaging called WikiCells, designed to mimic the “natural wrapper” of fruit and vegetables that protects yet is edible. 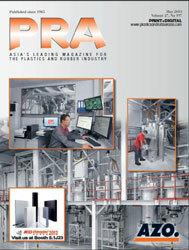 Are we ready to encompass all the palatable possibilities edible packaging can bring? It is a novelty and bears a noble goal, yet is still a long way off to becoming a mainstream packaging option or to taking over biodegradable materials. Moreover, observers are sceptical whether the consuming public are willing to ingest the packaging, regardless if it’s deemed “safe” to eat. Nonetheless, it offers a sweet potential to enjoy our food from inside to out – of course, with the packaging and all. Bon Appétit!